The field of Biblical chronology attempts to discover what happened when during Biblical times. When precise dates cannot be achieved, the field concerns itself with the order of events and the range of years within which any event may have fallen. However, it is surprising that, in many cases, the date for an event in Biblical times can be narrowed down to a particular year, or season, or month, or even day. This type of knowledge is not certain; it is not infallible. In Biblical chronology, there is usually a substantial possibility of error. The Magisterium has no particular teachings on Biblical chronology, other than on a few limited points, such as that Jesus died on Friday and rose on Sunday, or that there was a certain length of time between two events, such as that Christ appeared for forty days from His Resurrection to His Ascension. But for most questions addressed by Biblical chronology, there is no guidance from the Magisterium. Biblical chronology uses many sources: the Bible; the historical writings of Josephus, Dio, Tacitus, Suetonius, Pliny, and others; historical writings in the Church; archaeological findings, such as monuments, inscriptions, coins, etc. ; astronomical data on solar and lunar eclipses, lunar phases, comets, and stars; and even the writings of private revelations to the Saints. Scientific data and mythology are also relevant, as I am learning while working on my book of Old Testament Biblical chronology. These many sources provide a vast amount of chronological information, requiring critical evaluation and interpretation. It is not as simple as consulting a few sources, finding that they all agree, or choosing which of those few sources to believe, and then arriving at a conclusion. And since the many events of Biblical chronology are all, to one extent or another, interrelated, we cannot merely look at one event and arrive at one date. A coherent chronology is needed in which the order and timing of all these many interwoven events make sense as a whole. For example, if you place the Birth of Jesus in 12 BC and His Crucifixion in 36 AD, then you need to explain the Scripture passage that says He began His ministry at about the age of 30. Or if you say that the Blessed Virgin Mary was assumed in AD 63, you need also give the year for other related events, such as the Crucifixion. You would need to consider the assertions by Saint Bridget and Blessed Emmerich that Mary lived for only 15 years after the Ascension of the Lord. All the events of the New Testament are interrelated. If you place the conversion of Saul (St. Paul) in a particular year, this must fit with your date for the Crucifixion and for various events in early Church history, such as the martyrdom of St. Stephen (to which Saul was a party). In a typical theological argument, you might begin with definitive magisterial teaching, so that the argument is based on premises firmly established by faith. But in Biblical chronology, there are few if any magisterial teachings that apply. So you must establish your premises. It really should not be acceptable to assume that Christ died in AD 33, or to assume that the fall of Jerusalem occurred in AD 70. If a particular event occurred in a particular year of the reign of an emperor or other Roman ruler, you cannot assume that the usual dates for those events are correct. Each source must be critically evaluated, because these sources do not all agree. In fact, most Biblical chronologists do not make the above errors. They critically evaluate their sources. They do not give isolated dates based on few sources. They do not ignore the vast amount of data on chronology and assume that each of their few sources are correct. They do not assume that Herod died in 4 BC, or that Tiberius Caesar began his reign in AD 14. They do not assume that Jesus was 33 years old at His Crucifixion. As a result, Biblical chronology, real Biblical chronology that is thoroughly researched and well thought out, requires a lengthy presentation. I spent between four and five years researching and writing a book of New Testament Biblical chronology (Important Dates in the Lives of Jesus and Mary). The book considers many different sources of chronological information: the Bible, historical writings, archaeological findings, astronomical data, and the writings of private revelations to the Saints. The sources of information are critically evaluated, not merely accepted as face value. The entire set of dates, and the timing and order of events, fits together as a coherent whole. However, I don’t post much on this topic. 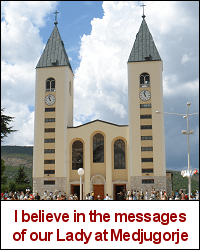 It would take more than a few long blog posts to explain my position on the date for the Birth of Christ, or for the Crucifixion, or for other events. This topic does not lend itself well to concise explanations that are easy to understand. But of course that hasn’t stopped other persons from promoting claims in Biblical chronology on blogs and websites, without having spent any significant amount of time or effort researching the topic. I am constantly astounded by the vast number of internet teachers of the Faith who teach without first having learned. If you wish to spread the Gospel, you have a moral obligation to learn before you teach. This phenomenon occurs on every topic in theology. There is no shortage of persons who will explain to you what a passage in Scripture really means, a meaning that supposedly can only be found in the Hebrew or the Greek, not in any translation. Does this person know Hebrew or Greek? No, he or she just looks up something online, then begins to teach. If I speak about insights that might be gained from the Latin of a particular verse, I am speaking about a subject I have studied. I translated the entire Bible from Latin into English. So it amazes me that other persons, who do not know a particular language, can pontificate on what the verse really means in that language. Apparently knowledge is not needed in order to teach (especially online). The same problem occurs in moral theology. 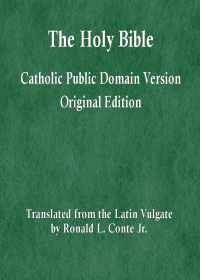 An individual Catholic will look up a few passages in the Catechism of the Catholic Church, and then teach others what the Church supposedly teaches on a grave matter of morality. Very often, this type of teaching goes far astray from the teachings of the true Faith and from sound Catholic moral theology. The CCC is a reliable (though not infallible) source on morality. But the CCC is also very concise. As a result, it is easy to misunderstand what is being taught if that is your only source of information. If you have not studied Catholic moral theology, you should not be teaching Catholic moral theology, not even online. The field of moral theology is not so simple that a cursory reading and facile interpretation of the CCC will be sufficient for you to understand, let alone teach, morality. If you are interested in Biblical chronology and would like a good overview of the topic, Jack Finegan, Handbook of Biblical Chronology is a must read. Also, you might be interested in Chronos, Kairos, Christos I and II, a collection of Biblical chronology articles by various leading authors. Each article is on a very specific topic, but you can get a sense of how Biblical chronology is done. Wikipedia is a poor source on Biblical chronology. The articles on this topic are written by a large number of unqualified authors and editors. The articles have been changed and updated innumerable times by innumerable different persons. The result is a hodge-podge of different assertions, many of them contradictory, many of them unsupportable or outright falsehoods. The references that are attached to one assertion or another sometimes do not support the assertion at all. Many of the references are not reliable sources. In general, Wikipedia references are not used in a critical manner. There are a vast number of different opinions in theology and even in chronology. The sources cited tend to be highly selective and not representative of the body of scholarly opinion. Many assertions have no references at all. There is a website called BethlehemStar.net which advances a particular chronology for the Birth of Christ, based almost exclusively on a claim about the identity of the Christmas Star. The website vastly oversimplifies the questions, information and analysis pertaining to Jesus’ Birth. Many scholars have considered this problem; they too use astronomical data. But they also use very much information that the website ignores. The author of that website oversimplifies the difficult topic of determining the year of Christ’s birth, and ignores any information or scholarly opinion that contradicts his work. The website uses an entertaining presentation to obtain acceptance for ideas that are not well thought out and not based on sound scholarly research. Jimmy Akin has a post called Cool Discovery About the Birth of Christ!. What has he discovered? Supposedly, he has discovered the year of Christ’s birth. He explains it all in one medium length blog post. A number of sources indicate that the Birth of Christ occurred in 3/2 B.C. He notes that most of these sources are two, three, or four centuries after the event. He dismisses Josephus entirely as a source, because he is one source and the other much later sources are many. It seems that what Akin has discovered is not the date of the Birth of our Lord, but the field of Biblical chronology. Rather than spend much time studying that field, he immediately goes online to teach what he has not learned. It is of course absurd to conclude that Jesus was born in 3/2 B.C. based on a few late sources. The claim that these sources are “multiple independent sources” is not really true. The latest of those multiple sources may simply be repeating what the earlier sources say. And none of those sources goes much further than making a bare assertion about the year; no substantial evidence is presented. As a result, Biblical chronologists, while mentioning those sources, never base their date for the Birth of Christ solely or even mainly on those sources. On the date for the Assumption of the Blessed Virgin Mary, Taylor Marshall has a brief blog post. Again, a topic in Biblical chronology that calls for much research, that must be established with respect to many other dates and events in the life of Christ and in the early Church, is oversimplified and an unsupportable conclusion is asserted. A vast amount of chronological information is utterly cast aside. The post mentions the information from private revelations to Blessed Emmerich (but not that to Saint Bridget on the same topic). But then that information is simply cast aside, without basis. The date of Saint James’ martyrdom is assumed to occur late. The dates of the authorship of Luke and Acts are assumed to be late. There seem to be many other unstated assumptions in this post. The idea of a pre-tribulation rapture (or a rapture at any time) is contrary to Catholic teaching. The rapture is an invention of Protestant theology, and so did not develop until many centuries after the Assumption. Also, there was no ‘seven years of Roman-Jerusalem gridlock’ in the first century A.D. Nero ruled for many years before his death at a point two years prior to the fall of Jerusalem. There was no Jewish-Roman war during his reign. He persecuted Christians, but had relatively few conflicts with the Jews. Furthermore, all the early Church Fathers interpreted the tribulation as a future event. They did not hold that the brief Jewish Roman war of only a few years was the tribulation. So this is what Biblical chronology is like on Catholic blogs. Gallery | This entry was posted in Biblical chronology, theology. Bookmark the permalink.